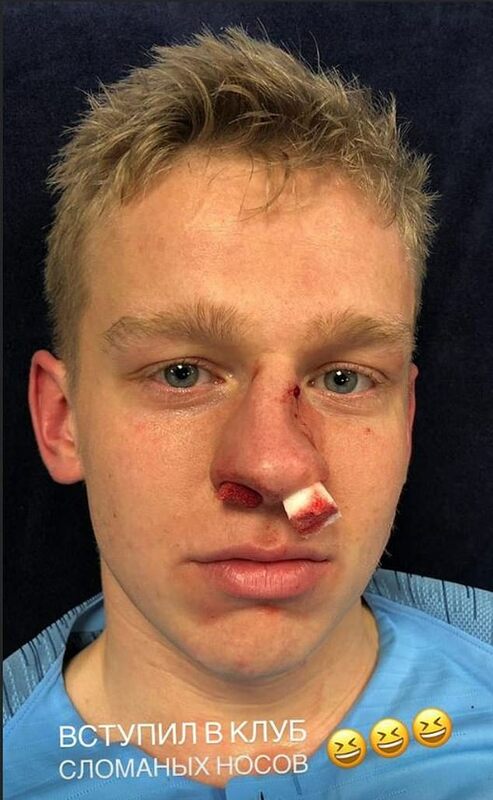 Oleksandr Zinchenko has shown off his bloody nose as a result of being elbowed by his Manchester City team-mate Fernandinho. The Ukraine international posted a photo on Instagram of the injury he picked up in City’s 3-1 win over Bournemouth on Saturday. Fernandinho accidentally elbowed his colleague and the 21-year-old had to be substituted. Zinchenko appeared to see the funny side as he captioned his social media story with three laughing emojis. The versatile City midfielder started only his second league match of the campaign against Bournemouth for Guardiola’s side. Bernardo Silva gave the champions the lead before Callum Wilson pegged the hosts back before half time. Raheem Sterling restored the home side’s advantage early in the second half before Ilkay Gundogan added a third with just over 10 minutes to go. City are five points clear of second place Liverpool before Jurgen Klopp’s side play Everton on Sunday.